On occasion, we may offer special promotional or coupon codes. Sign up now for up-to-the-minute Farm Sanctuary Shop offers, sales, and news. If you have a code you'd like to apply to an order, please follow the instructions below. 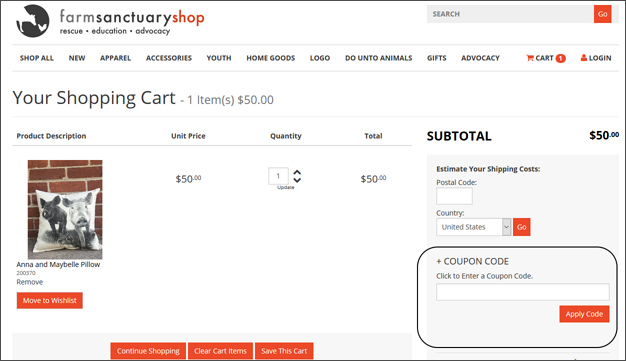 During the secure checkout you will see 2 boxes where you can enter your coupon or promotional code. You may enter your code in either box. The total purchase price will be recalculated based on the value of the coupon or promotional code. The first box is on the Shopping Cart page below the list of items in your cart. 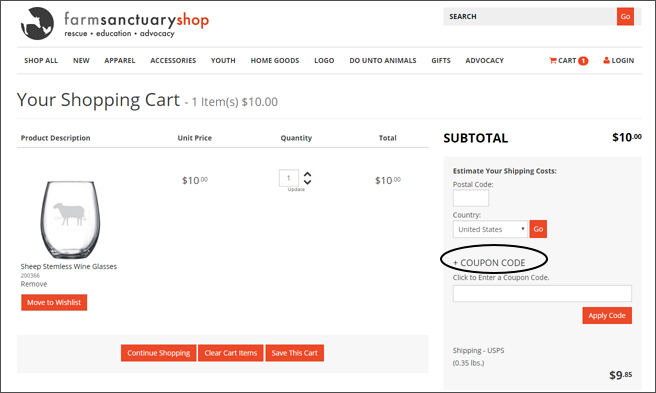 First, expand the +Coupon Code box by clicking on it. 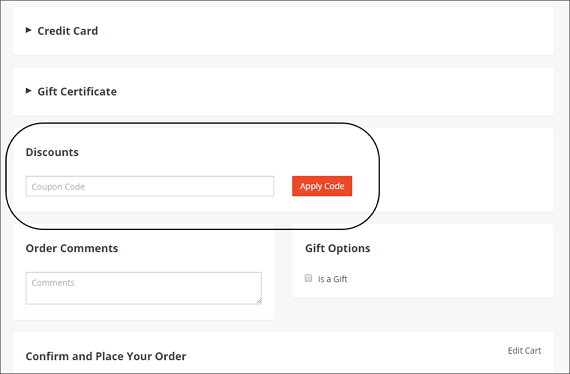 Once the box is expanded as shown below, enter your code in the box and click the Apply Code button. And the second is on the checkout page. Scroll down towards the bottom of the page and enter your code in the Discounts box shown below. Then click the Apply Code button.